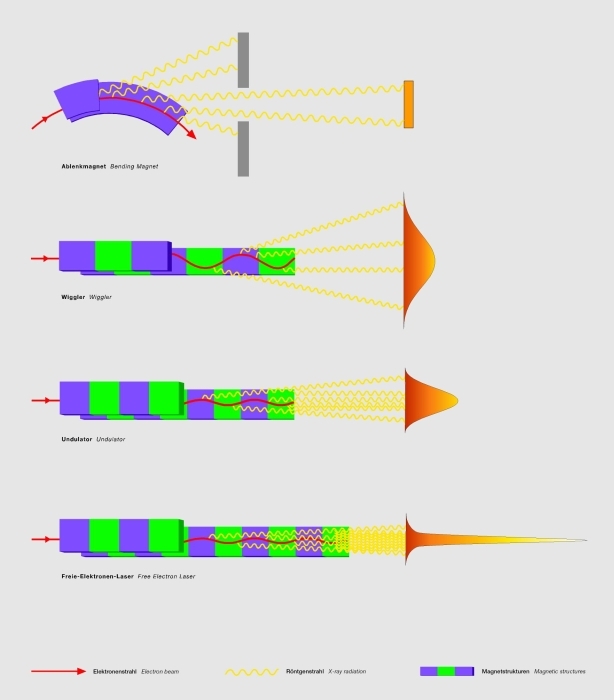 Synchrotron radiation (SR) is produced when particles are accelerated in a storage ring. Wigglers and undulators - linear magnetic structures - are used to improve the properties of the radiation produced. Direct descendants of the bending magnets in a storage ring, wigglers and undulators, force the particles to travel along a zig-zag path so that the emitted light waves are superimposed. These magnetic structures are now used to produce synchrotron radiation in laboratories worldwide. 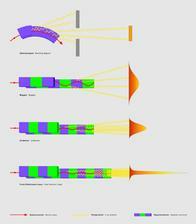 Extremely intense X-ray radiation with laser-like properties is generated by free-electron lasers (FELs).